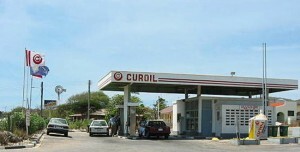 WILLEMSTAD - The price of petrol will go up on Tuesday, June 3, by 8 cents to 2.43 guilders. The price for a liter of gas is currently 2.35 guilders. The diesel price remains the same, 1.98 guilders per liter. The price of electricity will also go up. With a consumption of 250 kilowatt, the price will increase by 7 cents. The price of water will become cheaper, 38 cents per cubic meter.